I was checking the marine weather forecast all week for Oriental NC and Pamlico Sound. I was checking on Tropical Storm Dorian, which was no longer a tropical storm and had dissipated. On Friday, the winds were shifting to the East and on Saturday to Northeast, which means plenty of water in the channel to get underway. There were plenty of things to do in Oriental too. The Tarpon Tournament was underway, but we are not fisherman. 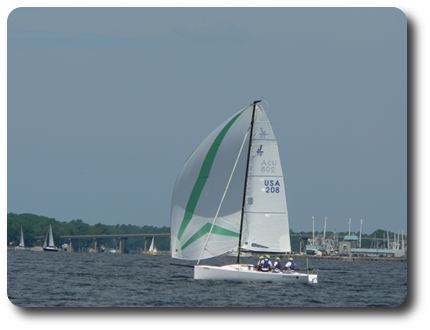 The NYRA (Neuse Yacht Racing Association) has its Parrothead Regatta, but we are not members. And there was the NSA Poker Run (Neuse Sailing Association – Not the Edward Joseph Snowden whistleblower), but we do not have a motorized dinghy unless you count 2 horse power engine (Raymond and I operating the oars. I had a crew (Michele and Raymond) with me this weekend. Saturday night and 50 percent chance of rain on Sunday. The only problem with going to Beaufort was that we won’t have much time there. We would have to leave early Sunday morning, because we all had work on Monday. So, we decided to putt around on the Neuse River. We departed Whittaker Creek Yacht Club at 09:30 with low expectations of a great day of sailing with a Northeast wind at 5-10 knots. When we cleared the channel it was dead calm. 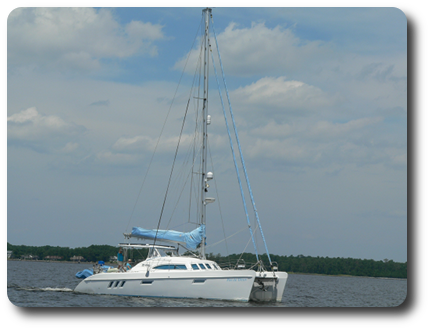 With what little wind we had, we decided to head up wind and toward the mouth of the Neuse River. About the time we cleared the number 4 channel marker (flashing green every 4 seconds standing at 15 ft.), the wind started to pick up to 6 knots. When we got adjacent to South River, the wind was gusting to over 10 knots in the middle of the river. We were able to tack our way across the river, heading in a northerly direction, making good speed.After passing Orchard Creek, it was clear to me why boaters dislike sailboaters so much. We were on a nice 33 degree tack, with the wind on our port side sailing in the iron in a Northeast direction. When we noticed another sailboat on the same tack. 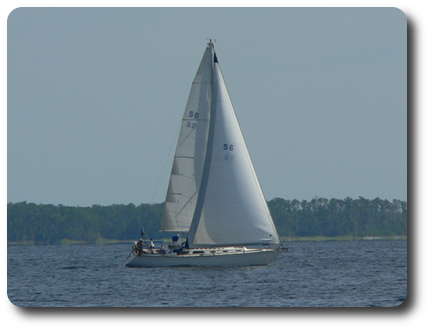 The Rules of the Road for Sailboats states that “Whenever two boats come close to each other, the rules designate one as the stand-on vessel and the other as the give-way vessel. The rules are designed to prevent a situation like two people walking toward each other on a sidewalk who both step out each other’s way in the same direction and thus run into each other. The stand-on vessel must continue on its course and the give-way vessel must turn away to avoid collision. 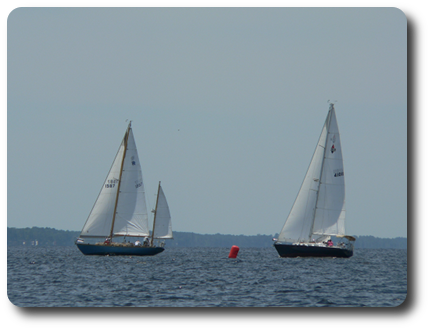 If the boats are on the same tack (which we were), the leeward (downwind – me) boat is the stand-on vessel, and the windward boat (them) must give way. I stayed on my tack maintaining my speed and course to see what the other vessel will do. We were on a collision course. We waited until we got 50 feet from each other (before the other vessel crossed our bow), before jibing. After the jib, we were in a run and headed back toward Oriental Harbor. We had been out sailing for a few hours and decided to stay on course and head home. Over all, we had a good day for sailing, except for the idiots trying to cross my bow. The wind was better than expected. We had a wonderful time sailing together as a crew and coming up with one-liners. July 29, 2013 in Sailing.